Charl talking in Prague … and James winning a poster prize! 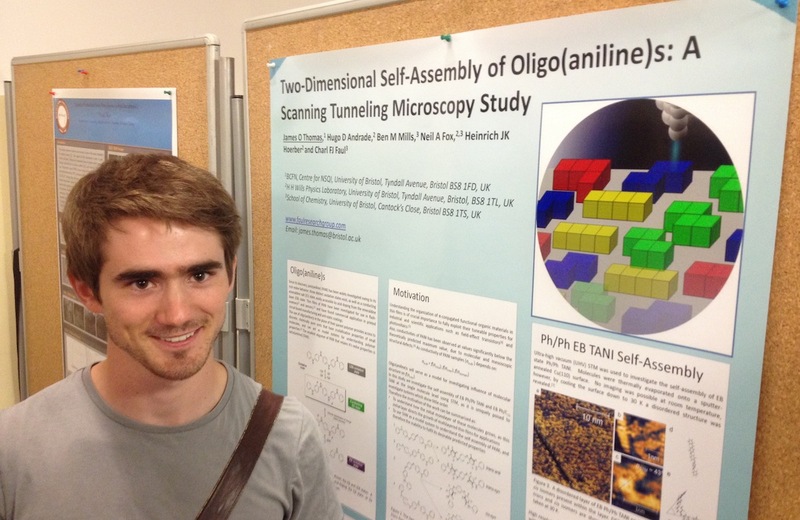 James won the second prize for his poster entitled “Two-Dimensional Self-Assembly of Oligo(aniline)s: a Scanning Tunneling Microscopy Study”! Well done James! 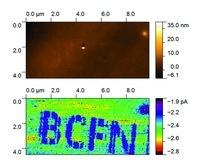 Ben (Brown)’s paper on the development of a conductive-AFM redox-writing (cAROW) technique to address thin films of oligo(aniline) has just appeared online in Small! 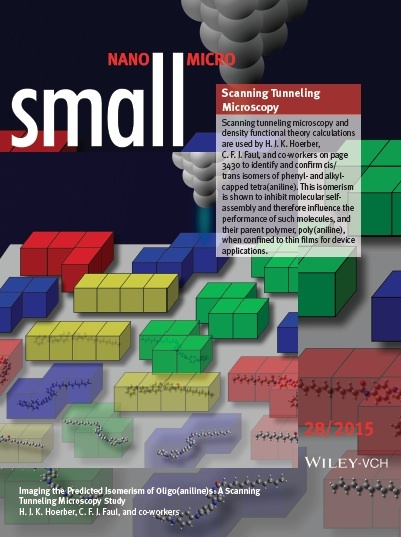 Please note that this paper is open access, and available for download without any charge. 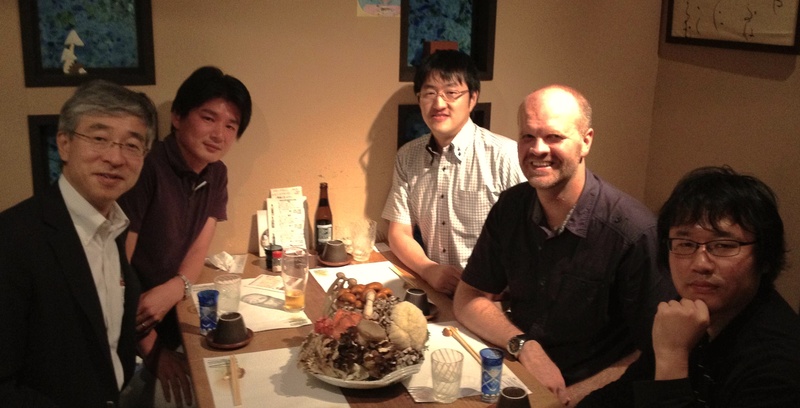 It was a sad occasion when we said goodbye to Yaozu, who is about to head back to China. Hard to believe that the two years have passed so quickly! 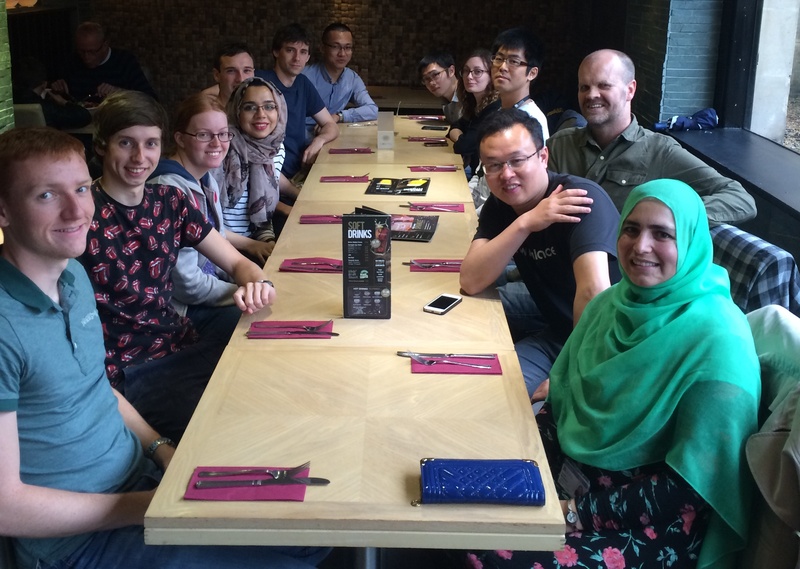 We said goodbye in true FRG style … by having a meal at Cosmo! We also took this opportunity to say goodbye to Irrum (who spent 6 very productive months in the FRG) and Eugenie (who spent 6 weeks in the FRG)! We hope to see all of you back soon again, and look forward to continued contact and collaborations! A good friend and colleague from the Department of Chemistry, Tsinghua University in Beijing, Prof Dongsheng Liu, is visiting the FRG. 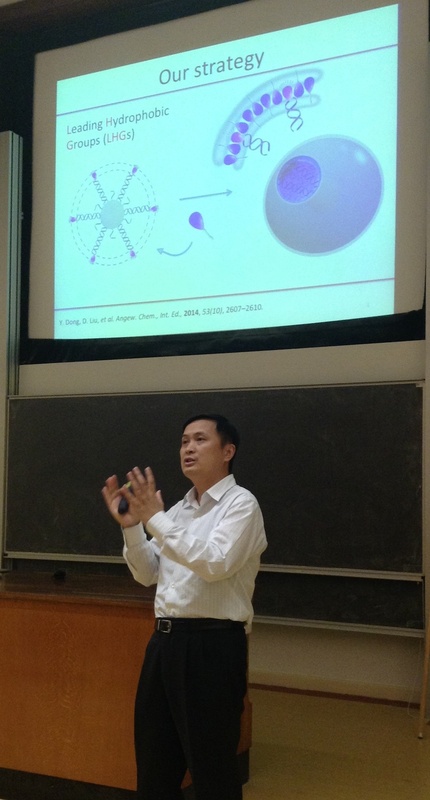 Dongsheng spent two days interacting with members of the FRG and talking to other colleagues in the BCFN and the School of Chemistry. He also gave a overview of some of the new developments in his laboratories! Great to have Dongsheng here in Bristol! Charl and colleagues from the BCFN will see Dongsheng (and colleagues) in September in Beijing for ChinaNano 2015. 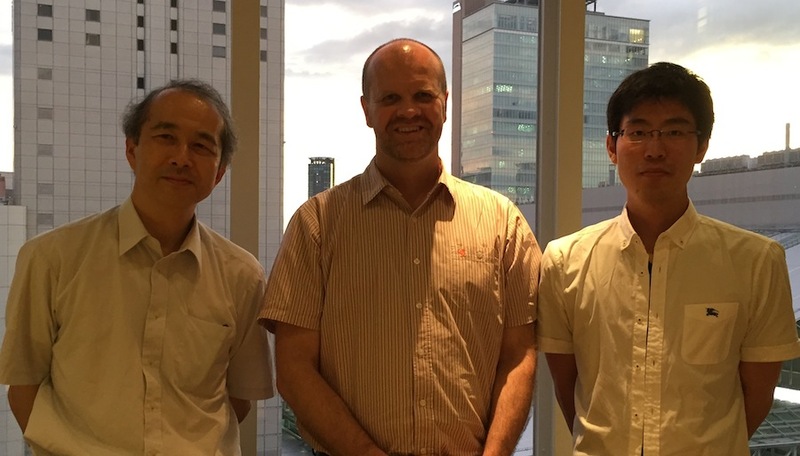 Charl spent a day at Kansai University, kindly hosted by Prof Fumio Sanda at the Polymer Design and Creation Laboratories. Except for interesting discussions with faculty members, Charl also spent the afternoon with Prof Sanda’s students, where they presented their latest (and very exciting) results! Charl ended the afternoon by giving a talk (before a delicious dinner in downtown Osaka! ).